Sam, in his mid-40s, came into my office a few months ago with some pretty standard complaints that we see these days. He just has no get up and go—he has general fatigue. He works a long day, 6 days a week. But in spite of that, he tries to eat healthy food, eats 3 meals a day with a morning snack and generally doesn’t eat late at night. Although his exercise is less than the recommended weekly requirements, he still does brisk walking 4 days a week for 35 minutes. But he can begin dosing off later in the day and needs to go to sleep earlier at night than he used to. We took a good look at what Sam was eating and drinking. We found that his consumption of fluid, particularly water, was lacking. He started his day with a cup of coffee and had a second cup late morning. His first cup of water was only with lunch and a second cup during the afternoon. Upon arriving home there was another cup of water and then one more coffee after supper. This was the extent of his fluid intake on an average day. We’ve spoken about the importance of drinking water before. But two new studies have shed light on just how important the consumption of water is to our health. Let’s first review what we have known until now. Water is one of the 6 classes of nutrients that we must ingest on a daily basis. 60 to 70% of our body is composed of water. Without it, the constant and necessary chemical reactions that occur all the time in the body can’t take place. Constant consumption is essential, as we cannot conserve or store water in our body. Yet, most of us probably get about 1/3 of the valuable hydration benefits we need. Water comprises over 70% of solid body tissue and helps regulate body temperature, carry nutrients and oxygen to cells, remove waste, cushion joints, and protect organs and tissues. 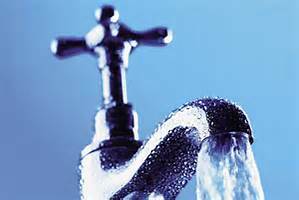 Insufficient water consumption leads to headaches, grogginess and dry, itchy skin. Severe dehydration affects blood pressure, circulation, digestion, kidney function, and nearly all body processes. A healthy body maintains proper hydration by balancing fluid intake and output. You normally lose about 2 ½ quarts (10 cups) of fluid daily through perspiration, urination, respiration and bowel movements. This amount needs to be replenished daily. Now, two new studies show just how imperative it is to our health to be hydrated properly. The first study shows a link between dehydration and cardiovascular health. Mild dehydration can impair vascular function nearly as much as smoking a cigarette, according to new research in the European Journal of Nutrition. Though the study sample was small (just 10 subjects), results indicate that hydration levels—even mild dehydration in healthy, young males—play a role in the risk of cardiovascular disease. Stavros Kavouras, PhD, FACSM, associate professor and coordinator of the exercise science program at the University of Arkansas, led the international team that published the study, which found a connection between minor dehydration and negative endothelial function (the inner lining of your arteries) with impaired cardiovascular health in humans. The endothelium is the inner lining of blood vessels. It plays a critical role in cardiovascular health. Atherosclerosis is the loss of flexibility in the blood vessels that leads to hardening of the arteries, a known contributor to cardiovascular disease. “You could be mildly dehydrated without knowing it while you have endothelial impairment similar to smoking a cigarette,” Kavouras said. “The degree of dehydration when these changes occur is at less than 2% dehydration, which is around the threshold when people start feeling thirsty.” In other words, not drinking enough can up your chances of heart attack and stroke. In older research done many years ago, Dr. Michael Mogodam of the George Washington University School of Medicine and Associate Professor of Medicine at Georgetown University Medical School, found that people who drink more than 5 glasses of water each day decreased their chance of a fatal heart attack by 51% and men and women who had more than 5 glasses per day had a 44% lower risk of fatal strokes. Among the reasons he found are that water dilutes blood enough so clotting is less likely and that a hydrated person passes a lot of urine, which also makes blood less prone to clotting. A second study, also recently released shows that plain water boosts dietary benefit. Drinking just 1–3 more cups of plain tap water per day can help people control their weight by reducing their intake of sugar, sodium and saturated fat, reports a study in the February issue of Journal of Human Nutrition and Dietetics. Whether the 18,311 U.S. adults studied in the NHANES cohort consumed plain tap water or drank from a cooler, drinking fountain or bottle, the majority of those who increased their water intake by just 1% also reduced their total daily calorie intake and consumed less saturated fat, sugar, sodium and cholesterol. Those who increased their daily water consumption by 1, 2 or 3 cups decreased their total daily energy intake by 68–205 calories and lowered their sodium intake by 78–235 grams, according to study authors Ruopeng An, PhD, and Jennifer McCaffery. Subjects also consumed 5 to nearly 18 grams less sugar and decreased daily cholesterol consumption by 7–21 grams. Although we did have to make a few revisions to Sam’s diet and exercise routines, the biggest change we made was getting him to drink enough water. We got him to start following standard protocols for consuming enough water. We asked him to consume a minimum of 8-10 cups of fluid per day. This was in addition to the water he got through eating solid foods. For example, a baked potato with skin is about 70% water. Eating fruits and soups is another way to ensure that you are staying hydrated. Water is certainly the best way to achieve this goal. Milk and juice are about 90% water, and also are good sources of fluid. However, be extra careful as juice is often sugared and even natural juices are high in calories. It is important to note that caffeinated beverages not only don’t meet your fluid requirements, but because they act as a diuretic and expel fluid from the body, they can be harmful in terms of staying properly hydrated. We also explained to Sam that when exercising, he should follow the guidelines issued by the American Council on Exercise. One should drink 2 cups of water within an hour before exercising, consume 4-8 ounces of fluid every 10-15 minutes during the workout, and consume 2 cups of fluid for every .5 kilogram lost during exercise at the conclusion of the workout. One should never lose more than 2% of his body weight due to dehydration. This is dangerous and can affect your performance. Also, remember that in hot and sometimes very dry climates, one must be extremely careful to drink enough, especially in the summer months. Most of all, do not rely on your thirst reflex to tell you when to drink. If you are thirsty, you’ve already waited too long before drinking. Urine that is a dark, gold color indicates that you are not drinking nearly enough. 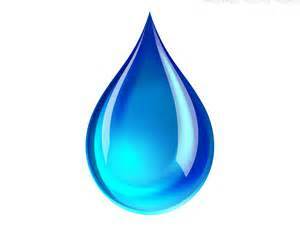 Here’s a good tip for being sure to get enough water in your system daily: Upon awakening, drink two cups of water. Add another two cups before each meal and one cup with each of your daily snacks. That alone will give you 10 cups per day. And drinking prior to a meal will also help you eat a little less by filling you up. Many times we mistake thirst for hunger and eat unnecessary calories. By keeping you full and by helping to keep your metabolism running higher, water is a big help in weight loss as well.